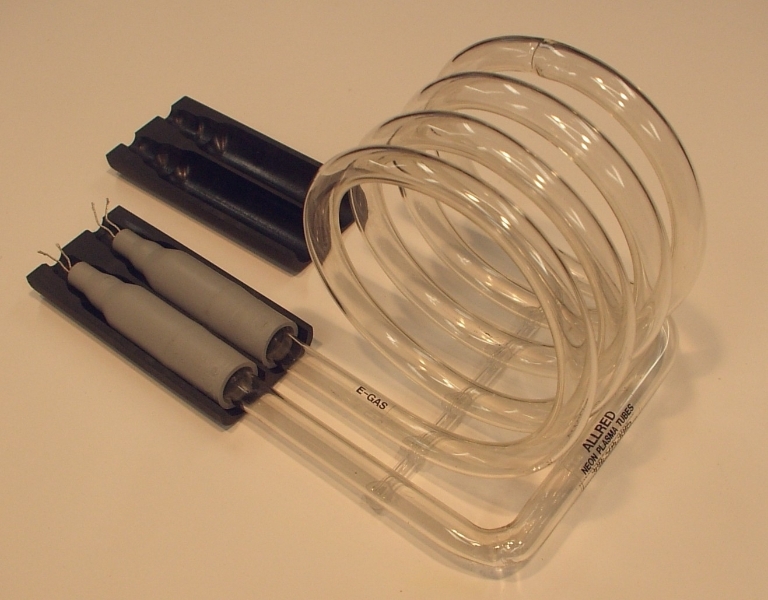 The Holman-Dorneanu team worked closely for many years with speciality Rife tube manufacturer Barry Allred to come up with many innovative and unique designs pushing the processes of leaded glass Rife tubes to the limits. Sadly, Barry is no longer with us but his efforts will be both missed and fondly remembered. Many folks literally owe their lives to the superior performance of his plasma tubes. In answer to your inquiries about an internal electrode getter, here is what I can offer as to an explanation. The coating most commonly used is barium strontium carbonate, which is reduced to barium strontium oxide during the heating of the tube manufacture. 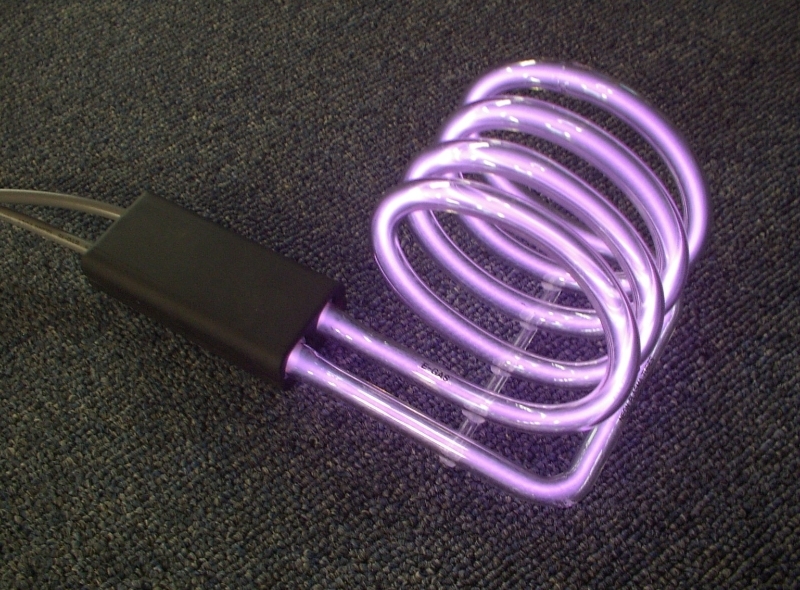 The oxide coating is a good source of free electrons. In laymen’s terms, the getter works as a scavenger inside the tube which is heated 100’s of degrees to drive out and open the deep layers of the glass. 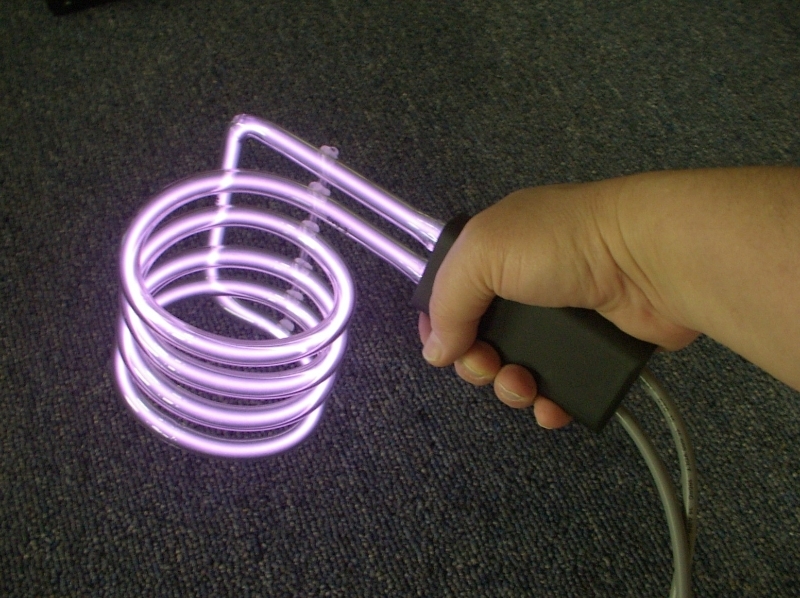 As the glass is heated, the electrodes turn cherry red, thus breaking down the barium inside the tube, which is trapped within the walls when it cools back down. After the tube is vacuumed, then gassed, and pressured, then the tube is sealed. 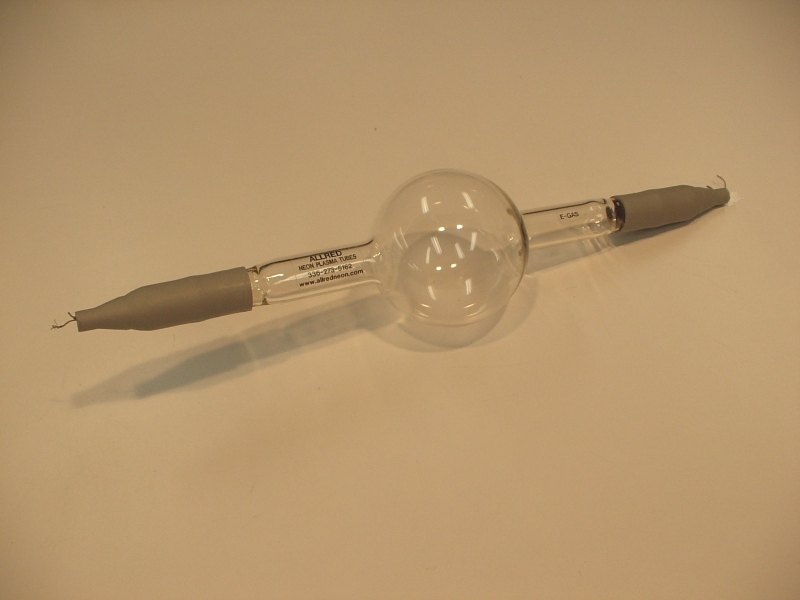 This can leave a small impurity in the tube, from the hand torch. 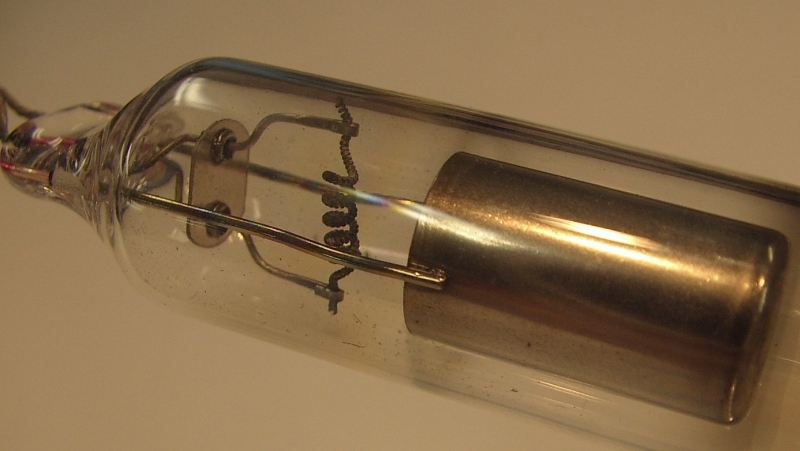 Having barium inside the tube, enables the tube to age in on a burn in transformer, usually 60 milliamps. 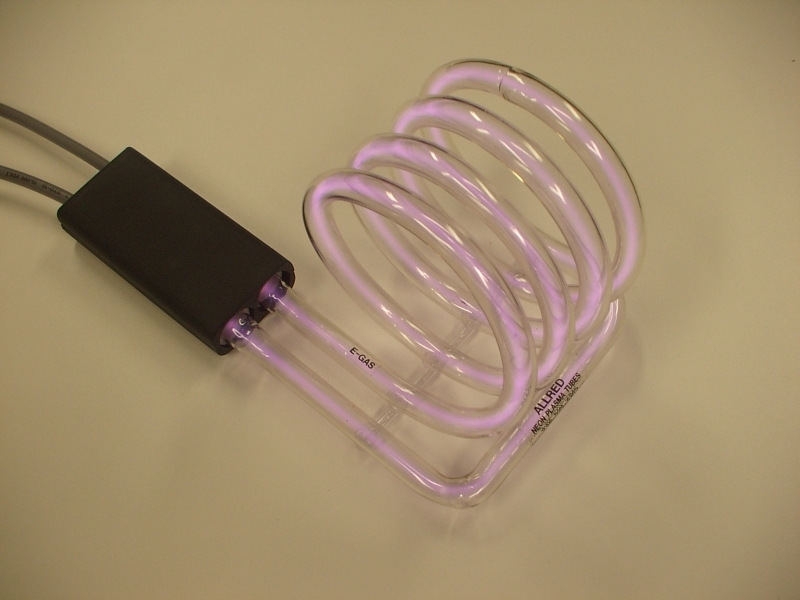 After the heat inside the tube dissipates and the tube begins to burn cool, it is ready to be shipped. A tube that has been properly pumped will have very little heat with better impedance for a cleaner signal. Ceramic collars are used to keep the gases clean and to keep down impurities. When a tube is properly pumped and aged, a tube will last 30 years. I have been bending and processing for over 30 years, and have tubes in service that are still burning. Do you still make and sell tubes? Actually … since Barry Allred’s passing, we have all of our tubes custom made. We had been working on a tube design for over 10 years, tweaking and finally (well pretty much) settled on our current design which is a quartz design but had many of the same characteristics we developed with Barry. While Barry made quality tubes, some of our requirements exceeded the limits of his abilities …more specifically his equipment’s capabilities. We are often asked if we will sell tubes and the answer until recently has been no. I must explain that the tube in our current equipment is really tailored to our unique electronics and coil configurations and not really optimized for anything else. HOWEVER … we recently completed design on a generic tube (also quartz) for the “Experimenter Kit” which performs quite nicely. This is for those wanting to put together a workable system and keep costs down. While it doesn’t come close to the ranges we are able to utilize in the P3 devices, it actually outperforms MOST of the other available devices out there (at a fraction of the cost). I believe we have parts 1 and 2 up on this website already …it will be a 4 part article. We may, in the near future, make THAT tube available to the public. These tubes last a VERY long time. I still have operational tubes that were made in the late 70s or early 80s. It may be good one of these days to fire up and photograph some of these old “antiques” that got us started in this amazing adventure. We will keep adding items of interest to this site as time permits but you will need to watch the PulsedTech.com website for any sale-able items. I apologize for the delay, I didn’t see this earlier … I am still learning this (with a lot of help). We actually do manufacture tubes at our associate company. Our current tubes have been the culmination of over 15 years of development. 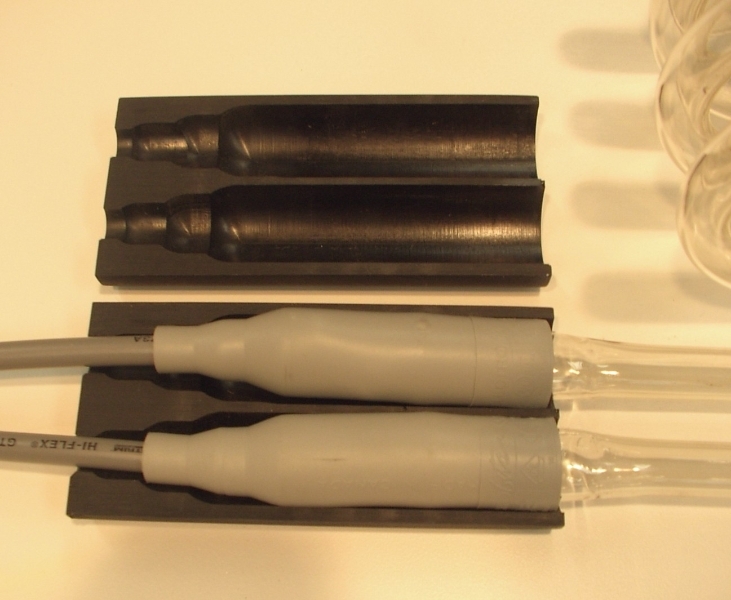 These tubes were designed and tweaked specifically for our high performance P3 line of Precision Pulsed Plasma instruments and optimized for the much higher frequencies than what is typically available to the Rife community. Currently these particular tubes are only available for the P3 products. HOWEVER … recently we released a somewhat similar tube for an experimenter kit which is of the EMEM type. Ironically this simple inexpensive kit easily outperforms most of the commercial available devices. While these tubes also were designed to be optimized for a particular Experimenter Kit application range and the equipment, we have considered making the tubes available to experimenters. The Experimenter Kit is already available through the PulsedTech sales …. (although I don’t think it is actually listed yet) [Note: more can be found on this at there PulsedTechResearch.com website Blog area in the Experimenter Kit/Poor Man’s Rife Project area.] I will talk with Sales about the possibility of making the tube available separately.